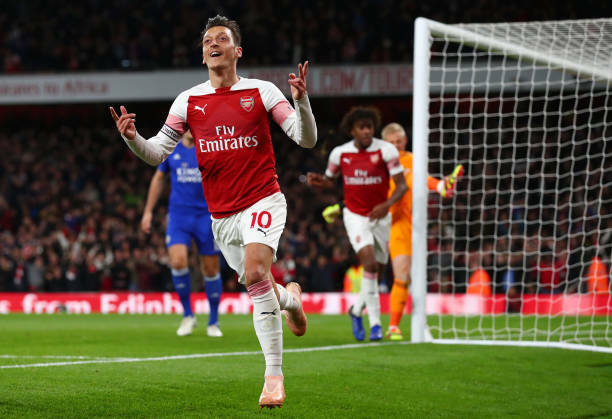 Mesut Ozil has turned down an offer from PSG to loan him from Arsenal until the end of the season sources close to the player revealed to Emre Sarigul of Turkish-Football. Emre revealed to the Guardian that Ozil will not leave the Gunners on loan in January nor at the end of the season. The playmaker of Turkish origin would only consider a permanent move and that certainly will not be happening today. Contrary to rumors claiming otherwise Ozil is happy at Arsenal and rejected loan moves from PSG among other European giants to stay at the North London based outfit. The 30-year-old made his first start of 2019 in the 1-0 victory over Cardiff City on Tuesday and was named captain. Ozil has struggled for playing time this year but has had injury issue with his back and knee. The Arsenal star is under contract until 2021 and is currently the highest paid player in the squad earning £350,000-a-week. The Gunners take on Manchester City next at the Etihad Stadium on Sunday 3 February. Ozil is match fit and expected to make the matchday squad.